Australia is the sixth largest country in the world by area and food exports contribute over $24 billion to the economy each year. Since April this year the Coriolis team have spent over 300 hours on Airplanes, and some are well tuned up on the latest films, TV boxsets and that the lifts in Heathrow are far quicker than the escalators! Global expansion usually starts closer to home, however Coriolis noticed a market opportunity whilst completing a project for Weston Milling (part of ABF) and decided to capitalise. All of these are challenges that excite Coriolis and the team, to meet the growing needs we have established a business entity known as Coriolis Consulting and will be based out of our new office in Sydney. 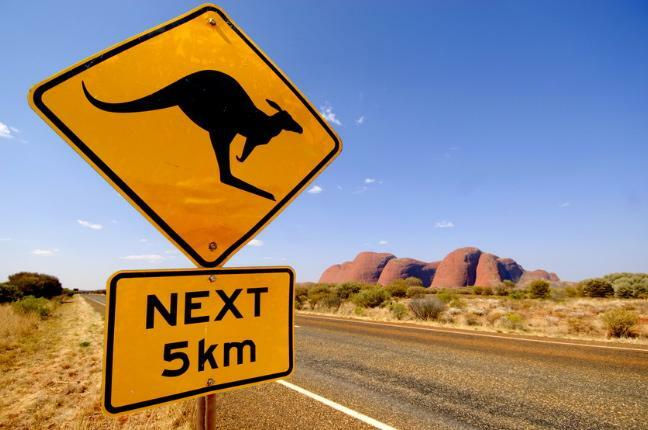 Using a blend of our UK team and new local recruits we will be bringing our knowledge and passion for best in class standards to the Australian market place. The team has grown to 6 employees from April this year and we are continue to recruit individuals to join our global revolution. “Of course it is difficult with a 10hr time difference and a 23hr flight, but we have developed at induction programme that see’s our Australian talent travel to the UK for training, an online portal for knowledge sharing and the relocation of some of the UK team to under pinned our ways of working and passion for what we do”. With a vision to employee 20 people by the end of 2016, things will certainly be hotting up over the next 6 months and we look forwards to bringing you the updates. Alternatively follow @Coriolis and our Business Director @Easty_Coriolis on twitter for tweets from the sunny side! Over the last 2 years, Coriolis has invested in the development of Mimo, our market leading performance reporting tool. Providing powerful information to businesses to make the right decisions quickly. MiMo latest release heralded the arrival of possibly one of the most powerful tools in its kit bag to date – “Dynamic Dashboards”. The Mimo dashboard allows instant visualisation of the status of your processes. This can be accessed where ever you are, board room or canteen, from your smart phone or computer. Dynamic Dashboards allow you to “pin” your custom charts or rows of indicators to a screen and pre-set the data that the chart or indicator will include. Whether you need to know what is happening today or what has happened over the last three months, Dashboards can be used to support your meetings as well as providing live Feedback in the Production areas, the Staff Canteen or your I-phone. You just need to decide what you want to review. The option to create your own Custom Charts has been available in MiMo for many months and this gives users a tremendous amount of power to look at the data in the way that they want, the options to compare trends and relate variables allows users to create powerful trends. For Example; create a traditional Productivity chart in Hourly, Daily, Weekly or Monthly buckets – overlay a trend line on it or split it by Shift or Line to run a quick comparison. Review downtime by product. Need to keep an eye on more than one Factory in the Group? No problem, MiMo allows you to review multiple facilities within your group in one chart or report. You still have complete control over who can access each and what each user can do within the facilities they have access to. 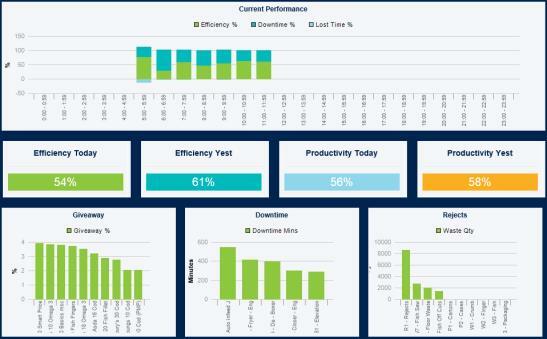 Even before the latest release, MiMo was looking pretty impressive, the new Dashboard tool gives users a whole new perspective on what’s going on and we have not finished there, look out for our KPI reports, Quick Win Calculator, scrolling message bar and material variance trending linked to your ERP system. We have the ability to collate data using manual collection, live touch screen entry, semi-automated systems and fully integrated and automated solutions. The transition from Keimis to MiMo is almost complete. We only have a few Keimis sites left, the majority have moved to MiMo and are enjoying the benefits of Minimum In, Maximum Out. In 2015 we will no longer support Keimis.